The Sears Kenmore Vacuum model number 116.26212690 is a canister vacuum. There are two canister lids on this vacuum. The one on top is part of the canister hood and is easily opened by pulling up on the handle. 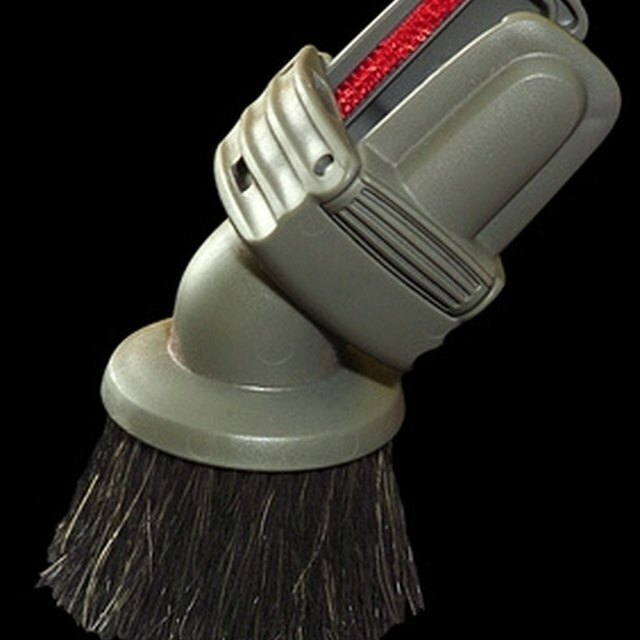 This will give you access to the vacuum accessory tools. The second lid is for the entire canister hood. It will be necessary to open the canister hood when changing the vacuum bag, replacing the filter or checking the motor. Unplug the cord from the wall outlet so that you can safely open the canister hood. Place the vacuum horizontal on the floor. It will be easier to open the canister hood and handle the vacuum bag than if you had the vacuum in the upright position. Pull the hood release latch up and out. This latch is located directly in front of where the hose is connected to the vacuum. Lift the canister hood up. This will give you access to the vacuum bag. Pull the bag out of the canister to access the motor and filter. The Kenmore vacuum model number 11626212690 has a red colored bag mount. Find this and pull the cardboard tab on the opening of the vacuum bag by pressing away and lifting up from the red bag mount. To close the canister, the vacuum bag must be in place. If a bag is not installed, the red bag mount will be flipped forward preventing the canister latch from closing. The canister hood may come off occasionally when opened. If this occurs, line up the hinges, insert them back into place and close the hood. Based in Maryland, Leticia Maldonado has been writing since 2006. Her articles appear on eHow and include advice on home improvement projects and human resources and workplace issues. Maldonado holds a Bachelor of Arts in government and history from Smith College.